All great ventures have some things in common: they are a group of strong-willed underdogs with seemingly impossible goals, with a great support system who tell them to chase that unreachable dream. 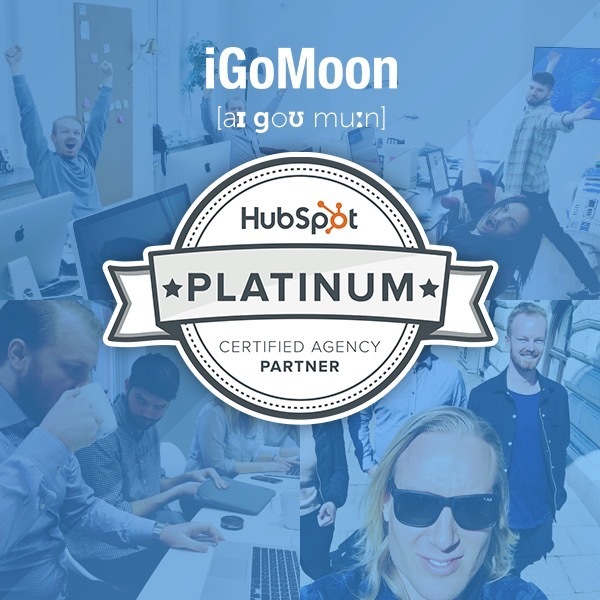 That’s the story of iGoMoon - and right now that story has reached a major milestone: we have achieved the Platinum HubSpot Partner tier. We used to be a production based website agency. We could (and still can) produce just website projects (iGoMoon Standard). You name it, we can build it. But a year ago we made a new goal, we wanted to become more valuable for our customers when some of them started to ask for a new kind of partnership (iGoMoon Ugraded was borned). This is sort of like a Gordon Ramsey deciding to return to school and become a lawyer. Or a fish deciding to become an iPhone. It’s a pretty wild decision. Some people laughed at us (which is understandable, we’re a funny bunch) and some people supported us. Because they knew that we are doers. If we say we’re going do something, it gets done. And judging by our newly acquired status, they were most certainly right. 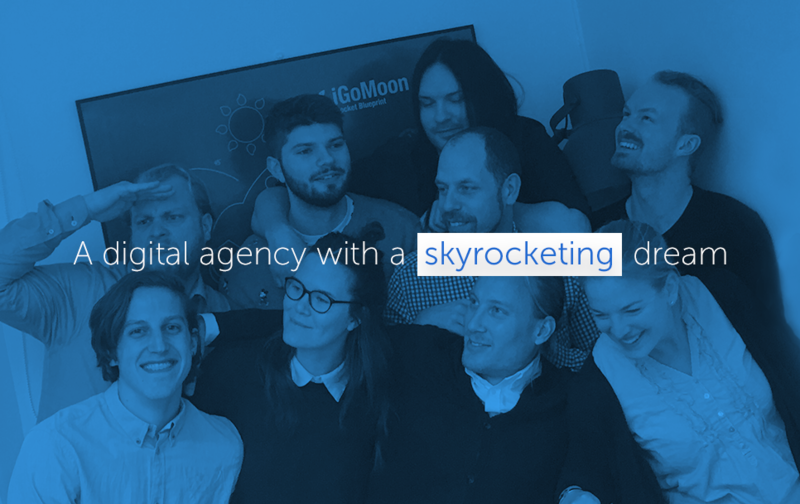 And we have worked mad hard to postitioned iGoMoon as a reliable HubSpot partner agency. All adventures need companions. Even though we personally have put in the hours, creating processes, crashing and burning and picked countless brains we couldn’t have done this by ourselves. That is why we want to give a shout out to all the people who helped us along the way. Our Gandalfs, Sams and Yodas, if you will. Thank you all. If the crew isn’t pulling in the same direction or working towards the same goal, you are bound to fail. By embodying our mantra of being brave, staying crisp (and having fun while doing it) we have managed reach yet another goal on our journey. Through dips and hits, thick and thin, the Moon Crew has stood strong. Trust is one of the hardest things to get. It has to be earned. By playing it straight with our customers being transparent and listening to their needs, they trusted us with their goals and wishes. Many of them allocated a large part of their marketing budget investing in a new type of relationship with us. And we are forever thankful to them for giving us that trust. Without HubSpot we would’t be able to do what we do today. Where all the stardust boils down to the goal image that we dream of every night (ok, most work days, but on the weekends we all dream of being Zlatan). But we really want to thank Shonagh, and Ville who believes in us. They are our troopers in Dublin who manage to withstand us (and our demanding CEO). Thank you guys! HubSpot has transformed us as an agency. One of the biggest challenges for an agency is to develop the team. And HubSpot has allowed us to focus on that aspect of our company. The transition from open source to HubSpot has also allowed us to focus on what matters, delivering results for our customers. We can focus on their goals, rather than spend our time with technical challenges, such as hosting and backups. Platinum is a great achievement (and a fun award) and should be celebrated accordingly - but our journey has just started. And this isnt about titles anyway - because the journey is the fun part. But of course, our goal is to go Diamond before 2016 has come to an end.